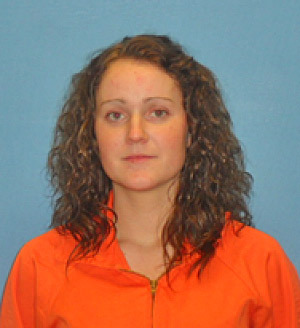 Jaci Rae Jackson has been sentenced to 10 years in jail in Arkansas for her role in the theft of five rodeo horses from Southern Arkansas University’s Mulerider Stables. Jackson, 20, was also ordered to pay more than $US28,000 in restitution for her part in the notorious November 2011 thefts. Jackson, a former student at the university and a former South Arkansas University rodeo team member, was sentenced for her role in the theft of the top-performing rodeo horses, who became known as the Arkansas Five. The story grabbed headlines across the US as authorities hunted across state lines for the horses and the perpetrators. Jackson, of Broken Bow, Oklahoma, faced sentence on Thursday in Columbia County Circuit Court on two admitted counts of conspiracy to commit theft. Judge Larry Chandler handed down the sentence on Thursday morning in Columbia County Circuit Court. He imposed two consecutive five-year jail terms. Columbia County Deputy Prosecuting Attorney David Butler said Jackson’s mother, Wendi Cox, and her boyfriend, Billy Hamilton, were the masterminds behind the theft of the horses. Jackson had testified against them and provided the state with a lot of information in the case, he said. She will begin serving her time in Arkansas once she finishes her jail sentence in neighboring Oklahoma. Late last month, Jackson, was jailed for 42 months in Oklahoma. That sentence, which included seven years’ probation, was imposed after Jackson, 20, pleaded guilty last August to four charges of conspiracy to commit theft, bringing stolen property across state lines, knowingly concealing stolen property, cruelty to animals and an unrelated count of second-degree arson. Jackson was involved in the planning, but was not present when the five horses were stolen overnight, along with a horse trailer and tack, from the Mulerider Stables, in Magnolia, in November 2011. Two accomplices, William Webster “Billy” Hamilton and George Berrish III, the pair who physically stole the horses, earlier pleaded guilty to felony theft. Hamilton was sentenced to 30 years in jail in Arkansas and will not be eligible for parole for five years. He received 20 years in Oklahoma. Berrish was jailed for 10 years in Arkansas on one admitted count. Jackson’s mother defended charges in connection with the incident, but was found guilty. Cox was sentenced to 60 years in prison following her conviction for eight theft counts. She will not be eligible for parole for at least 10 years. The five horses were taken across the state line into Oklahoma. Four were recovered, but the fifth, a horse named Credit Card, who became nationally known following an appearance on a reality TV show with his owner, rodeo captain Shaun Smith, was found dead, having been killed and dismembered. The prosecution in the various cases outlined how the offending involved a plan to steal the horses with the intent of reselling them. The horses were stolen under the cover of darkness and taken across the state border to McCurtain County. However, the plan faltered after Jackson told her mother she recognized Credit Card, and Cox formed the view the horse was too risky to sell. It was a view that was to the cost the horse his life. Credit Card was shot and dismembered for disposal soon after. By then the trailer used to haul the horses had been found and it became too risky to move the horses. The plot then quickly unravelled and the four surviving horses were found soon after by authorities, abandoned and tied to pine trees in rural McCurtain County. They were malnourished and dehydrated. The remains of Credit Card were found early in December of that year.